Jessica has been working with Deyong’s Eyeworld since 2003. She graduated from Monmouth University with a Bachelor’s Degree in Communications in 2008. She has successfully completed courses in ICD-10 Optometry and Ophthalmology training. Jessica has also furthered her education by attending NPCC Medicare Changes workshops. Every year she attends the New York Vision Exposition Show where she learns the latest technologies in the eye and vision care field. 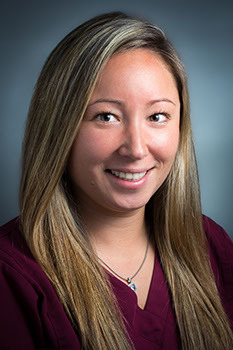 Jessica is committed to quality patient care and superior customer service. Jessica has been a Monmouth County star softball player since her early teenage years. In her spare time she enjoys going to concerts, spending time with loved ones and her dog Wayde.